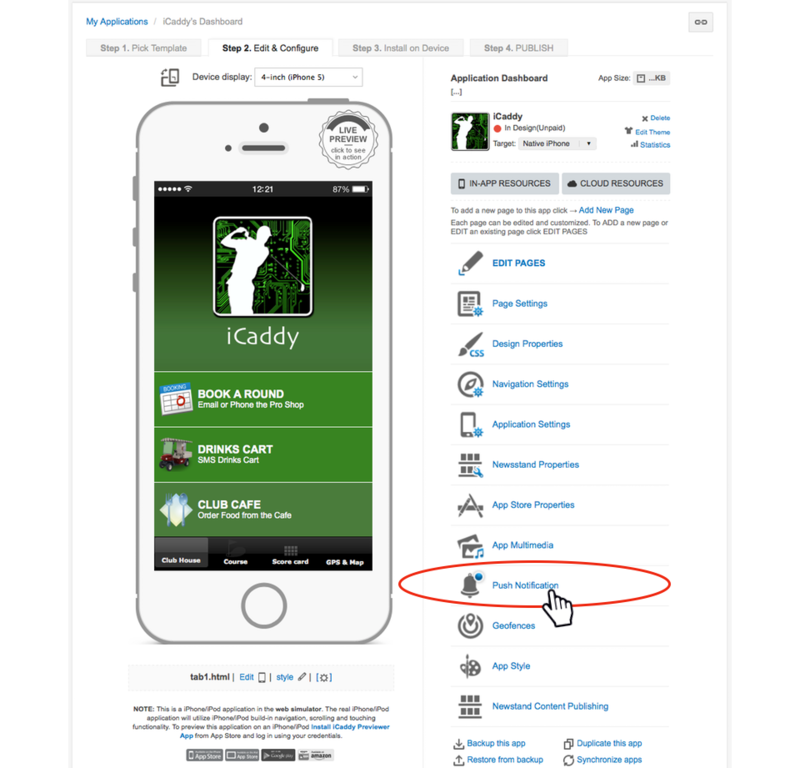 From the application's Dashboard, select the 'Push Notifications' option from the list. 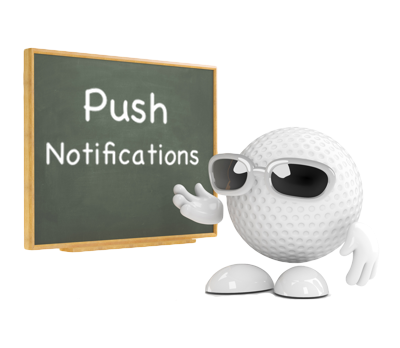 Note: Push Notification features are provided for experienced developers only who intend to publish under their own developer account(s). 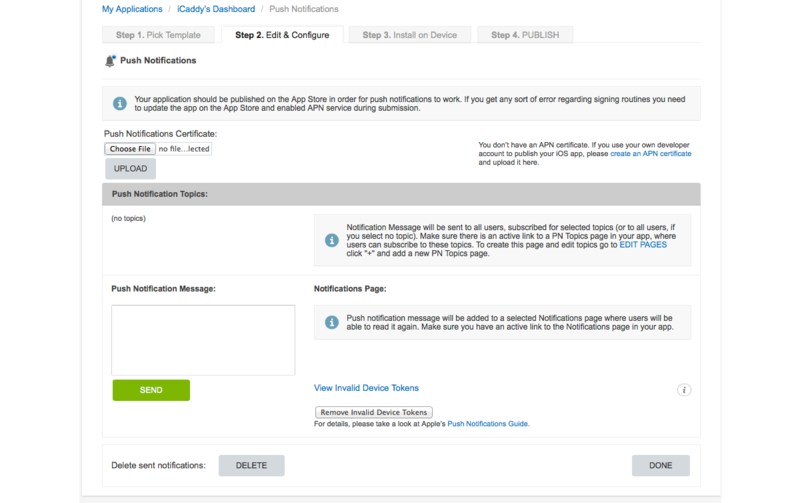 A 'Push Notifications Certificate' is required to enable this feature. Only limited support is provided for Push Notification features. Push Notification information can be edited via the Push Notifications window (shown above).